Acrobatic gymnastics is a competitive gymnastics discipline where gymnasts work together performing acrobatic moves, dance and tumbling skills all choreographed to music. It consists of 3 types of routines, a balance routine, which focuses on strength & flexibility, a dynamic routine including throws, somersaults and catches, and a combined routine which has elements from both balance and dynamic routines. 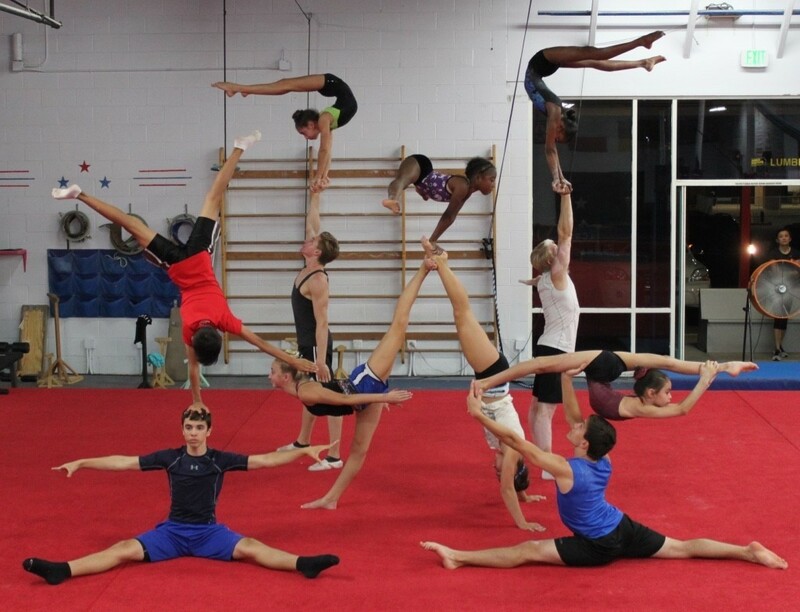 Acrobatic Gymnastics has five disciplines: women’s pairs, men’s pairs, mixed pairs, women’s trios and men’s fours. Women’s Trios has a female base, female middle and female top. Men’s Fours utilizes four males (base, middle 1, middle 2 and a top). We offer both recreational classes and Competitive Team for Acrobatics gymnastics. In the recreational Acro class athletes will learn balance, co-ordination and agility skills. They will also build strength, flexibility, and power. This class will prepare them for the opportunity to pair up with another athlete to move to the Acro Pre-Team and then the Acro Team, where the opportunities are endless.